Few will argue that you can experience the ultimate in entertainment through home automation technologies. 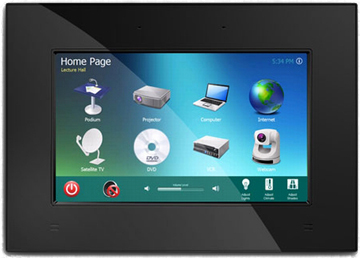 Home automation includes many functions which make life easier for residents. It helps to cut down on energy costs and it increases security. However, these technologies provide incredible entertainment opportunities as well. Families that use these advances have the ability to make social events memorable for everyone who attends them. Entertainment technologies also provide incredible networking advancements as people connect with one another from the comfort of their own homes. Here are some ways that music and theater technologies are reshaping the entertainment landscape. Music has the power to heal, to entertain, and to reduce stress. When you have control over your home music system, it enables you to treat yourself and your guests to a wonderful atmosphere. Multi room music technology provides the ability to enjoy music in every room of the home. Airplay allows you to enjoy music wirelessly from your phone, without a docking station. Speakers are built into the home so that they fit seamlessly with the home’s decor. Additionally, they provide unmatched surround sound. Music technology allows families to tap into many online sources from any room in the house. These sources include Spotify, Pandora, iTunes, Sirius XM, and much more. The ideal home theater features a movie-theatre quality experience in HD. Audio components utilize surround sound technology to provide the best in entertainment. Most people fail to realize that there is much more to it than simply installing any home theatre into a room. The acoustics of the room must be taken into account, in addition the amount of natural light that comes in to reduce glare. Custom remote control options must be considered. These options allow you to control lighting, sound, picture quality, and internet access. Calibration between audio and visual components provides the ultimate home theater experience. Naturally, family members have different music and movie tastes. Standard home entertainment systems place limits during recreational times. Families must jockey for time to use a theatre or music system, and often, this separates them from spending time with one another. Quality home networks provide customization options for individuals. Kids are able to play surround sound quality music within their own bedrooms. They control this music wirelessly, either from a smart phone, tablet, or computer. The ability to enjoy your own music and movies enables your unique personality to shine through. The enjoyment that comes from creating an incredible home entertainment system is simply unmatched. When you consider the myriad options provided by online entertainment access, the possibilities are endless. This is the reason why more people choose to install their own systems, as opposed to going out to see a movie. Customization through advanced technology makes the viewing and listening experiences unique to that person. As the world of entertainment continues to progress, so too, do the options associated with creating a lively and inviting atmosphere throughout your home.